Intensive Moisturizing Mousse with luxurious moisterizing power of shea olein which also helps protect the skin against weather - sun - aging and superficial irritations - soothing benefits of aloe vera gel and vital nutrient rich essential oil blend that moisterizes - soothes - protects and rejuvenates the skin. Use: Apply small amount to face and neck area - and massage into skin. 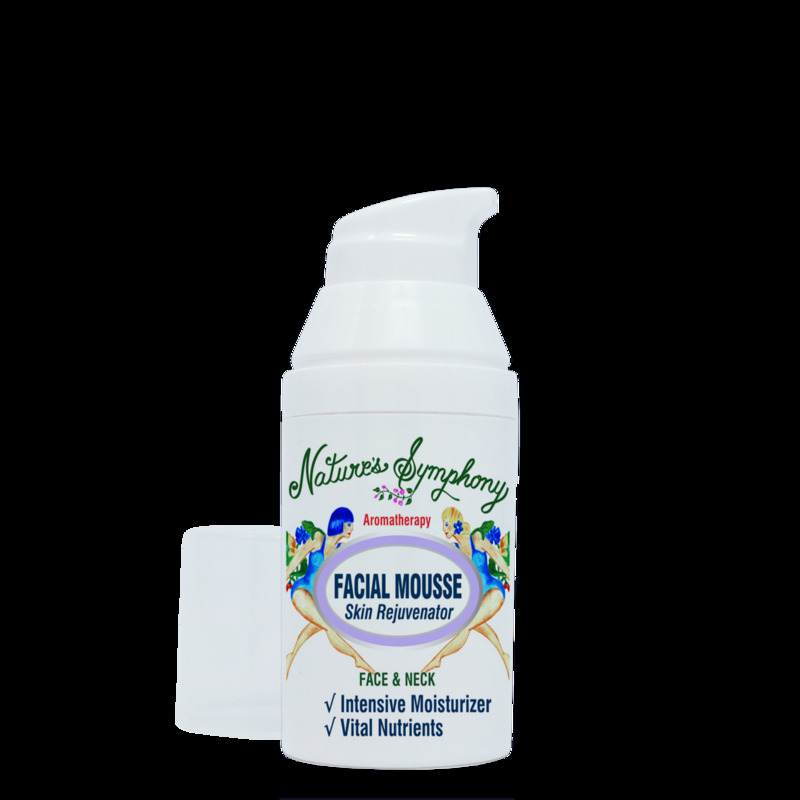 For better absorption and coverage mist face and neck first with a Natures Symphony Hydrosol. Ingredients: Aloe vera gel - carrot oil - wheatgerm oil - sweet almond oil - organic sunflower oil - and shea olein oil - with organic/wild essentials of essentials oils of orange - patchouli - carrot seed - sandalwood and geranium.